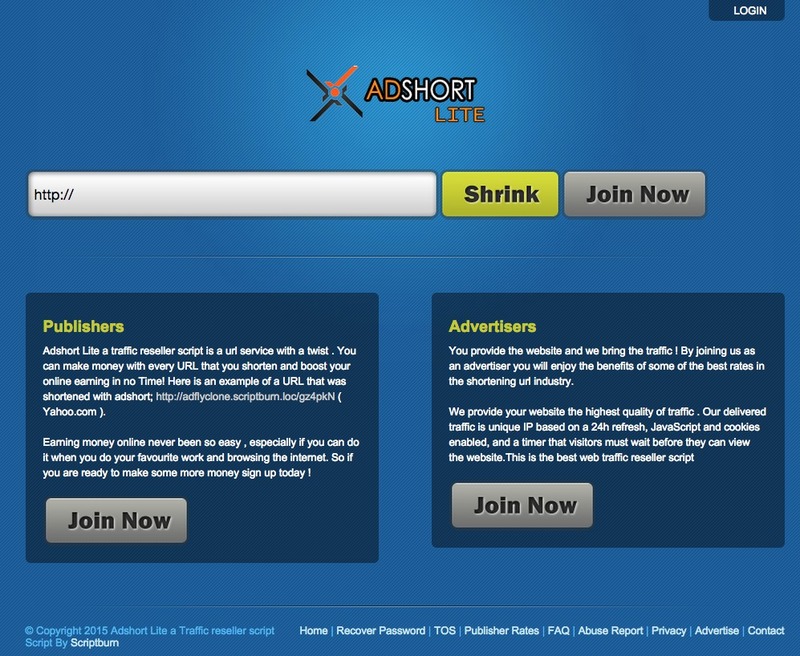 This plugin excels in giving you full control over the visibility of your a post. By default, any post you add to your WordPress blog will become the topmost post, and will show up immediately on the front page in the first position, and similarly in category/tag/archive pages. Sometimes, you want to create a “low-profile” addition to your blog that doesn’t belong on the front page, or maybe you don’t want it to show up anywhere else in your blog except when you explicitly link to it. This plugin allows you to create such “hidden gems”. 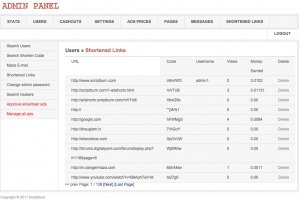 “WP Hide Post” plugin is a great tool in your arsenal for SEO optimization. It allows you to add plenty of content to your blog, without forcing you to change the nature and presentation of your front page, for example. You can now create content that you otherwise would be reluctant to add to your blog because it would show immediately on the front page, or somewhere else where it would not belong. It’s a must-have feature of WordPress. Everybody loves movies and we adore the movie industry. 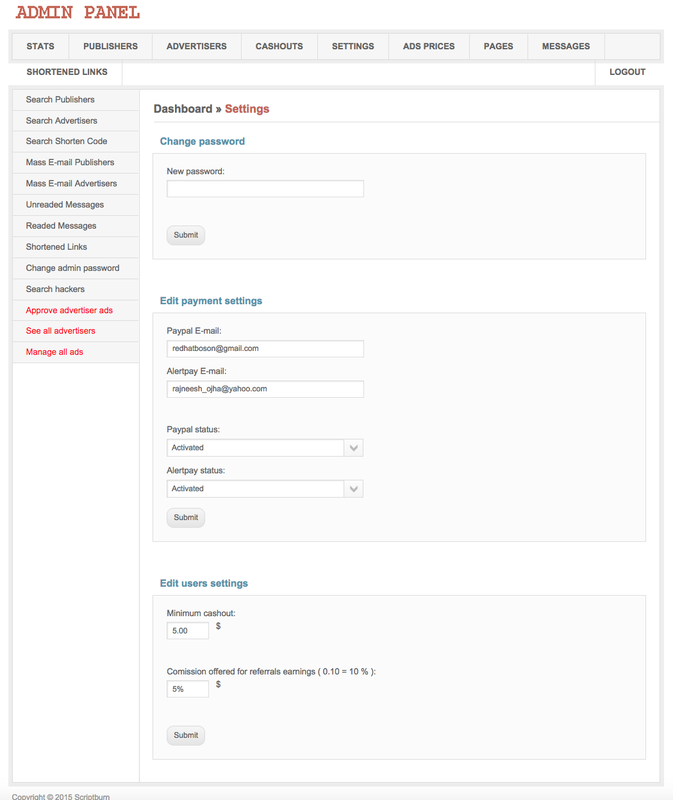 With a vision to help the community for this industry we introduce the WordPress Movie Plugin. Create a huge database of movies you love. Produce playlists, favorite movie list, submit movies and TV Shows and so on. Take a demo and enjoy. 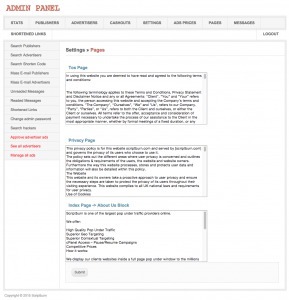 This page allows the administrator to manage the hosts that are connected to the website. The website is built for ease and for convenience. The screen below allows you to add a new movie to the database. You can add short description, summary, trailers, crew members and any detail that maybe required for the movie to be understandable in the listing. 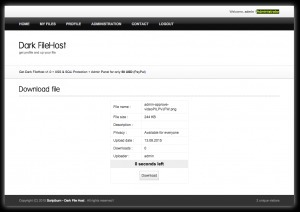 This windows allows the admin to allow or disallow a host (make it active or non-active). 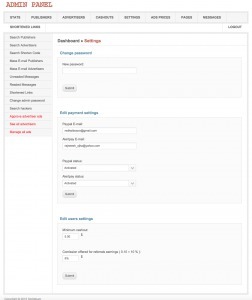 With fields like Host Name and an Active or Non Active switch, it becomes easier for the admin to do just that with few clicks. All the movies and TV Shows submitted by the users to the website now get stored in this window. 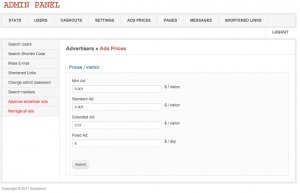 The admin has the option to allow or disallow an item to be shown in the listing page. If the list keep increasing the admin can initiate a bulk action that can do the same. This window displays all the complaints lodged by the user regarding broken links for movie and TV shows. After careful analysis of the case the administrator can take necessary action to solve the problem. 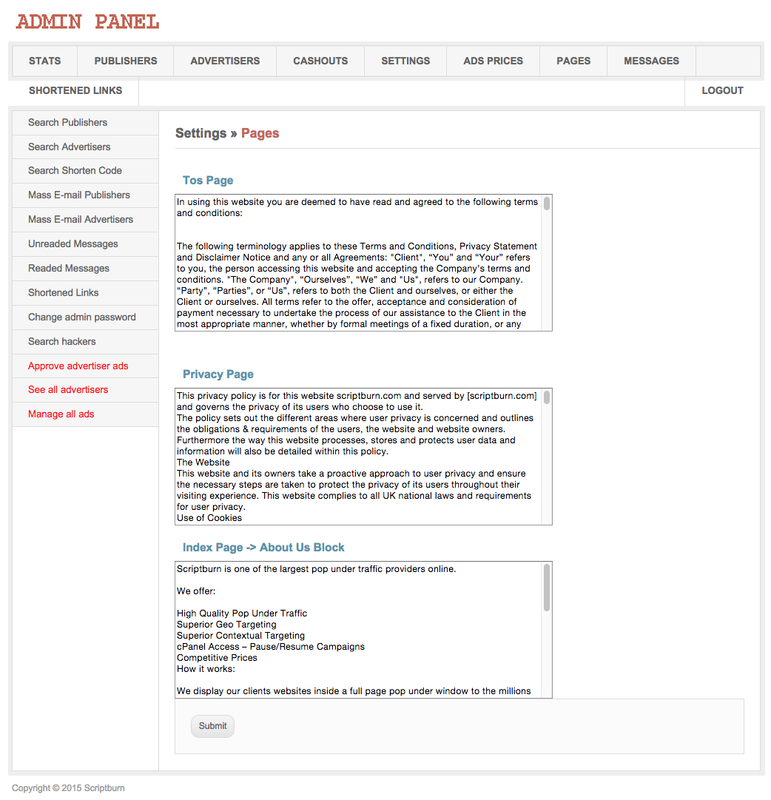 This page allows the administrator to access all the general settings for the website. From options like activating or deactivating plugin license and theme license to updating the maximum upload size, this page plays a key role in managing your website efficiently. 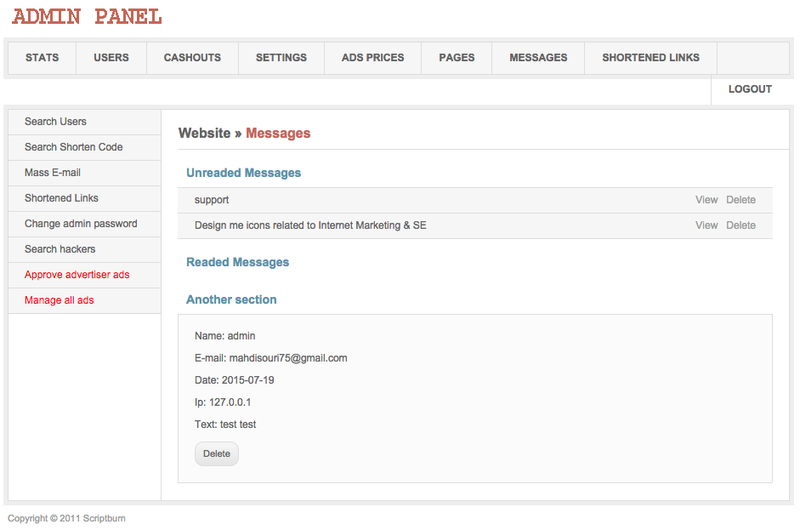 The admin can now easily set the email templates that he should send to his users. Mass text can be a great tool for promotion – and it should well organized and readable and in the correct format. This dashboard feature lets you do just that. The WordPress Movie Plugin allows the user to post comments as reviews to shows and movies. This can allow discussions among the community and also encourage the users to spend more time on the website. However, after a review has been submitted it will be sent to the admin and hence the authority to approve or disapprove the comment will be given to the admin. Yes, the plugin will have a fully functional Private Messaging System that will allow users to interact and exchange emails between themselves. This will be interesting for the users and will keep them more engaged. A perfect feature for movie maniacs who love to meet like-minded people and share and exchange ideas. 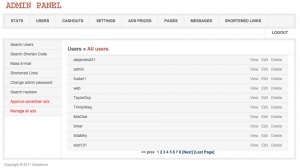 Private messages that are exchanged between the users will be stored in the website. The messages can also be categorized manually in folders. Users can create a playlist for their favorite movie and TV shows. This will allow the users to keep tract of their planning to watch movie or TV series. The playlist can be created through the following window – clean, managed and organized. The favorites list is similar to the playlist. Here however the user will be able to add the favorite Movie or TV show. You will never again have a problem of forgetting your favorite movies. The more movies you watch the more this list will grow and help you keep a memory. 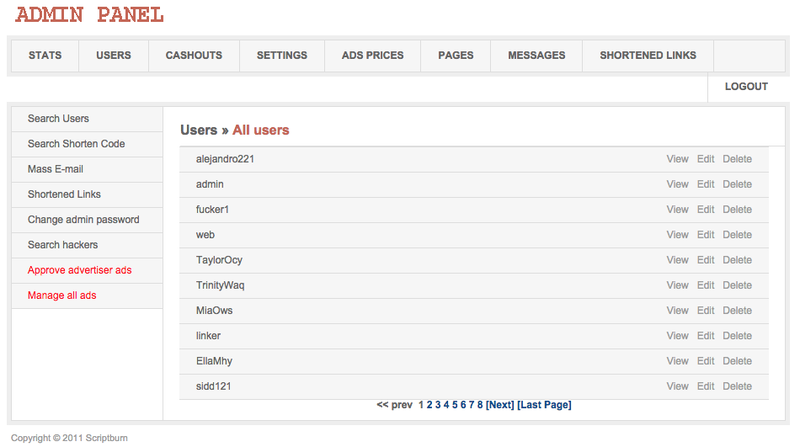 A very interesting feature of the plugin, the friends list allows you to add friends and interact. The more friends a user might have the more interesting the website will become. But for that – there should be a contact repository. Simply, the movie listing page lists all the movies that have been uploaded by the user. 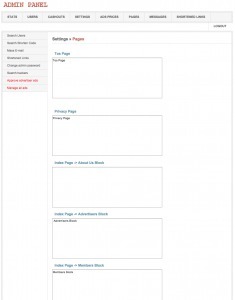 Here the user can easily navigate through the list and sort it according to the user requirement. There is also a section where the user can view the ratings a particular movie has gotten in the playlist. Composing a private message has never been any easier with the textbox tools this plugin provides. With all options to make your conversations more fun and meaningful, this feature is a great hit. In this window, you can view all your playlists. It helps you be more organized when it comes to viewing things you love the most. Along with viewing the playlists, you can even have option to delete or rename the playlist according to you need. 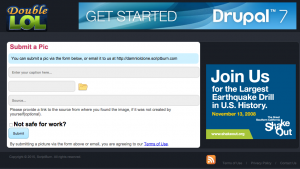 Users receive points for various activities they do in the website. 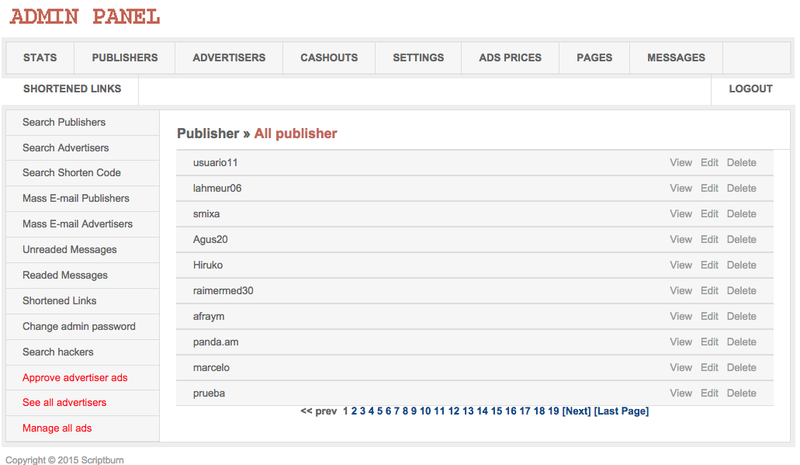 So the user points are calculated and the admin can view the points of all the users in the database. 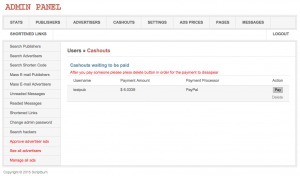 Accordingly, they will automatically be refreshed after the users have earned the points. 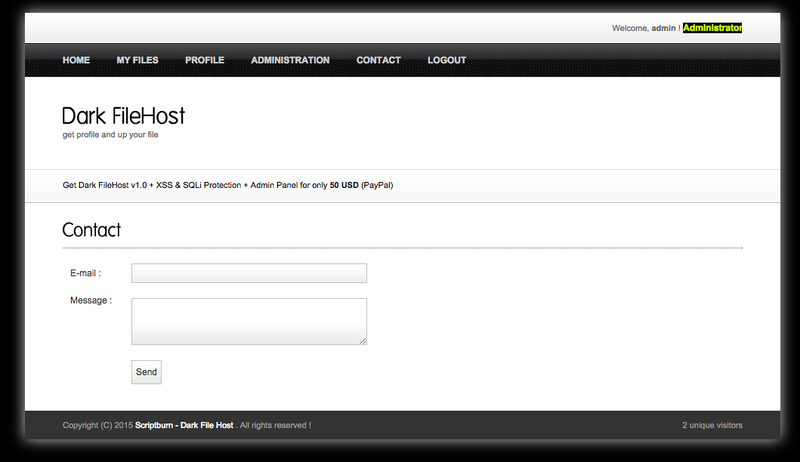 The user profile window, as simple as that displays all relevant information about the user. 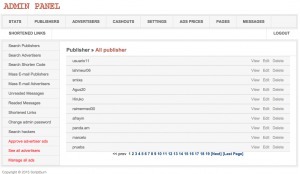 From a short introduction of the user at the top, the activities that the user has performed to the friend list of the user – everything can be seen from the screen. It just allows you to know someone better and befriends. 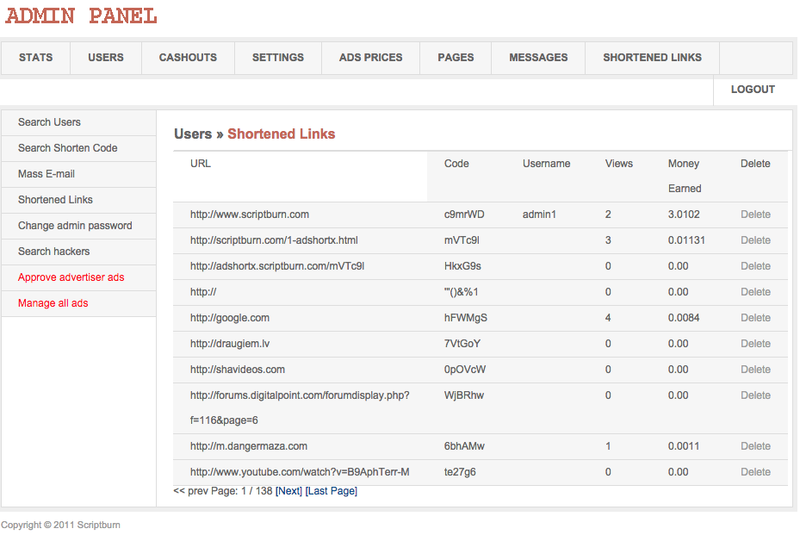 Similarly, users will be able to report broken links to the administrators. The reporting window will contain a field showing the broken link and a text field for the user to enter the details on the complaint. Not all like-minded people can be friendly. In such case, the user can report such users to the administrators. After that the complaint will be lodged and necessary action will be taken. On this page all the shows will be listed. Also, relevant shows or the shows that the user has already watched will also be displayed. 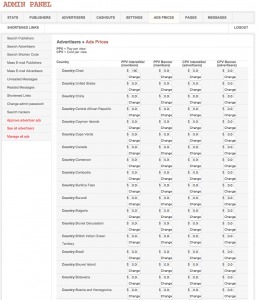 This easily navigable screen gives the users a good feeling even when searching for a particular listing. 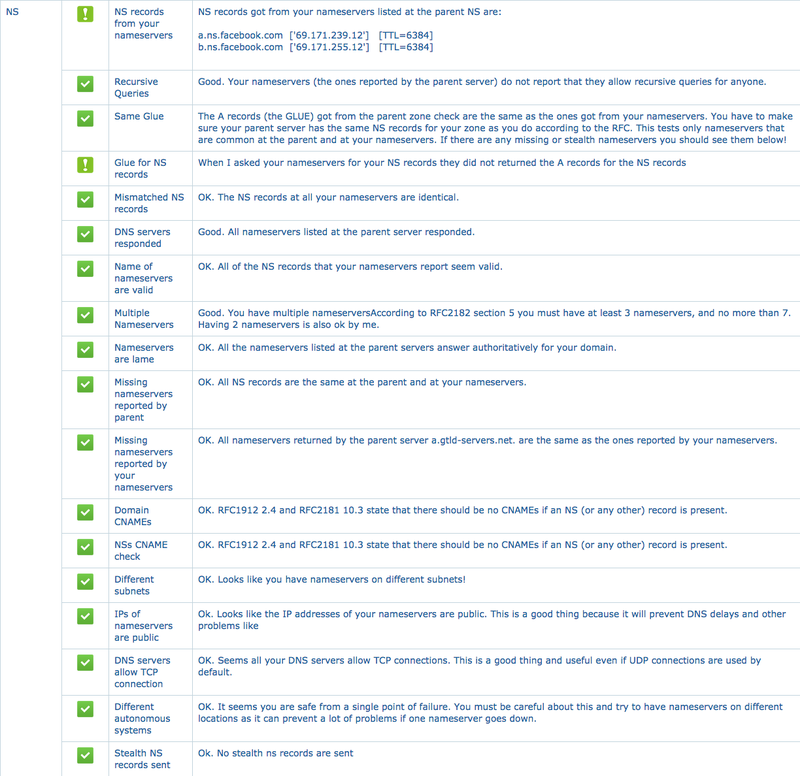 At the bottom of the page the reviews of the users on a particular TV show will be shown. A movie can be submitted to the website through the given window. The movie details should all be entered upfront so that the page can display the movie correctly and more information is displayed on the page. Similar to the submit movie window, the submit show window is for TV shows. The submitted TV shows will appear on the Shows listing page. From the below displayed window, the user will be able to submit reviews on a particular movie or TV show. The review will then appear on the page of the particular movie or TV show. 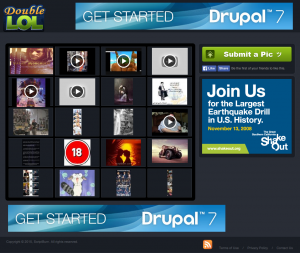 DoubleLOL is an image sharing website, an exact clone to the ultra-famous Damnlol. 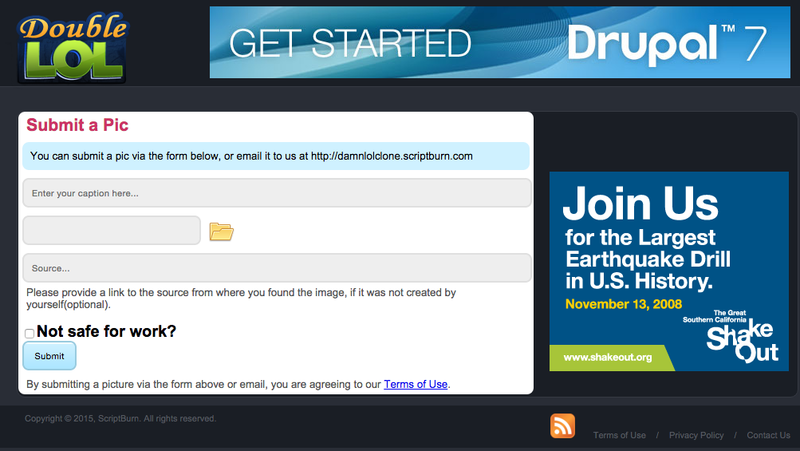 With Scriptburn’s new feature – share funny, motivating, creepy, spooky or weird pictures with ease. 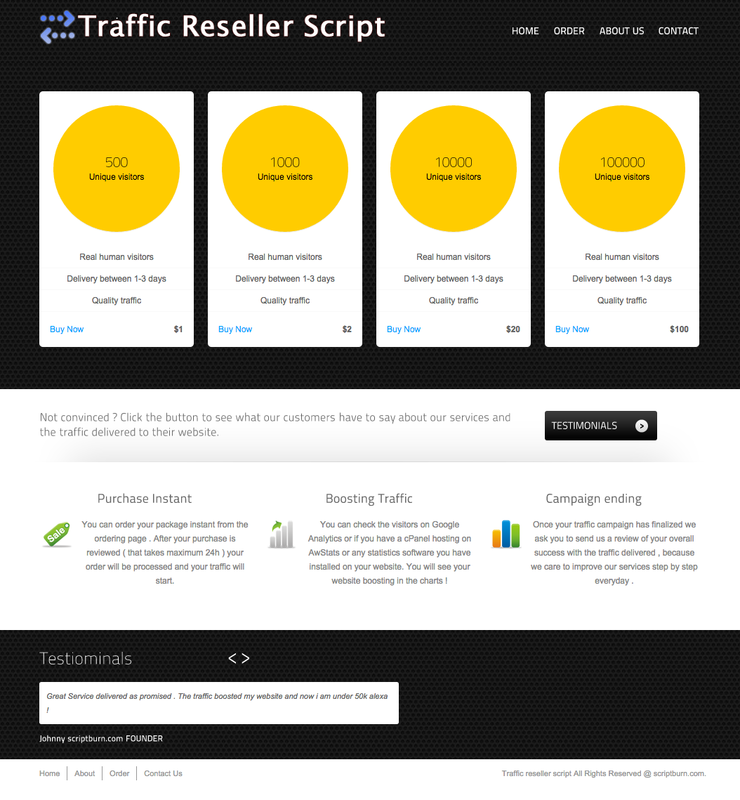 The front end is designed to be very easy to navigate and look at and the back end is no rocket science either. Take the first step in creating a funny website that’s bound to make your viewers roll on the floor laughing. Also do note that the product owner will not be responsible for any injury caused by excessive laughing. The home page is simple and easily navigable. All videos or images are placed right infront giving the users the freedom to choose their favorite and laugh it off. 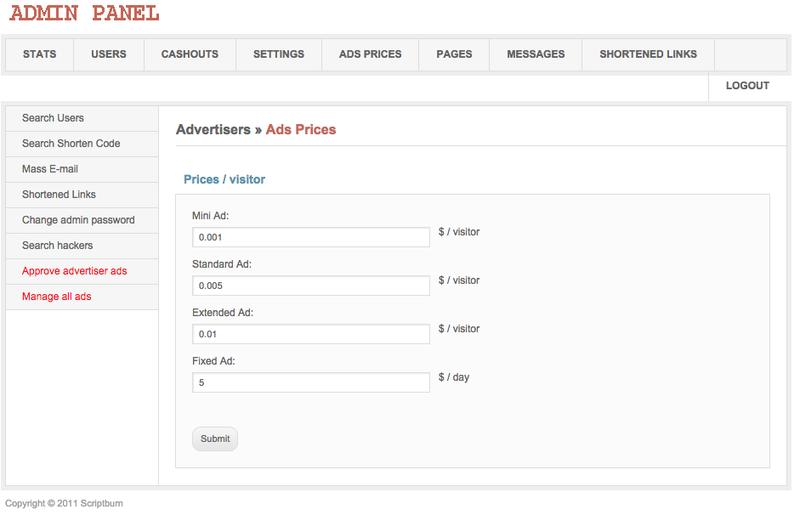 With small configurations in the backend the user will have the ability to post their content. Just as simple as that. The image display page will display the various images uploaded by authors who have registered. All images will be displayed on the hope page so that the website will have very minimum hidden menus and more element of fun. Also, the home page will accommodate a mixture of categories – from humor, mystery, quotations and philosoph, quotations and philosophy. YouTube videos, along with the images, will be shown on the front page. Since YouTube is the largest repository of videos in the world, the want for funny videos is always booming. 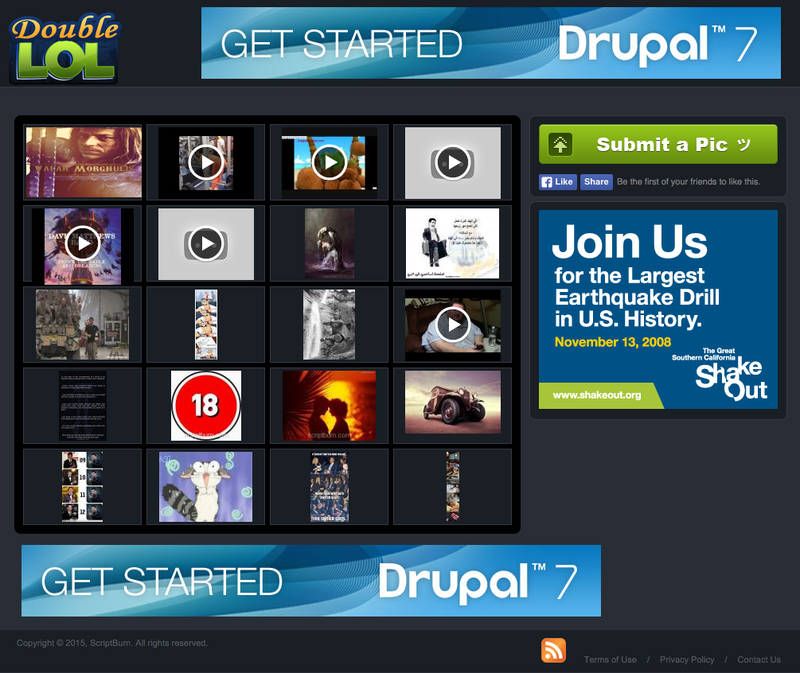 The videos can be played directly from the page of DoubleLOL and the need to switch to another tab for playing at YouTube page is not required. One of the most important feature – the user will be able to upload file to the server so that it is displayed on the screen of DoubleLOL. The files should be JPEG, PNG or GIF, basically any image file. After the file is uploaded, it enters the verification phase where the file should be verified by the administrators before it appears on the home page. 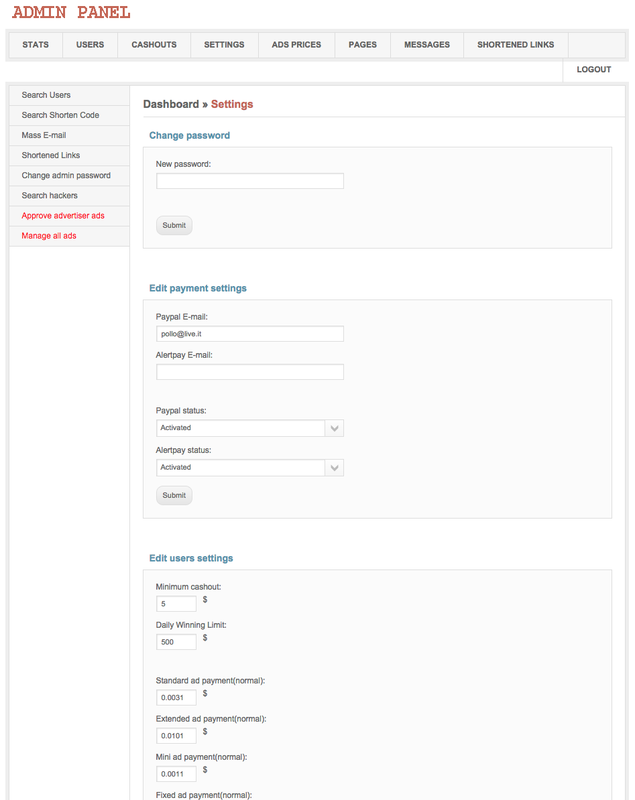 The admin who administers the site now can use a variety of features to operate the site from the Admin Dashboard. The admin dashboard is designed to be as user friendly as possible so that it allows the admin to easily approve or disapprove an upload, view the ad section, play with the site SEO, choose social Medias to share on or even change the password. 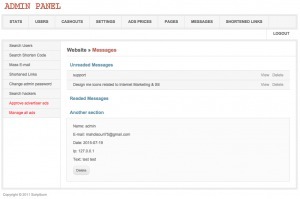 It also allows the admin to view the registered user at DoubleLOL. 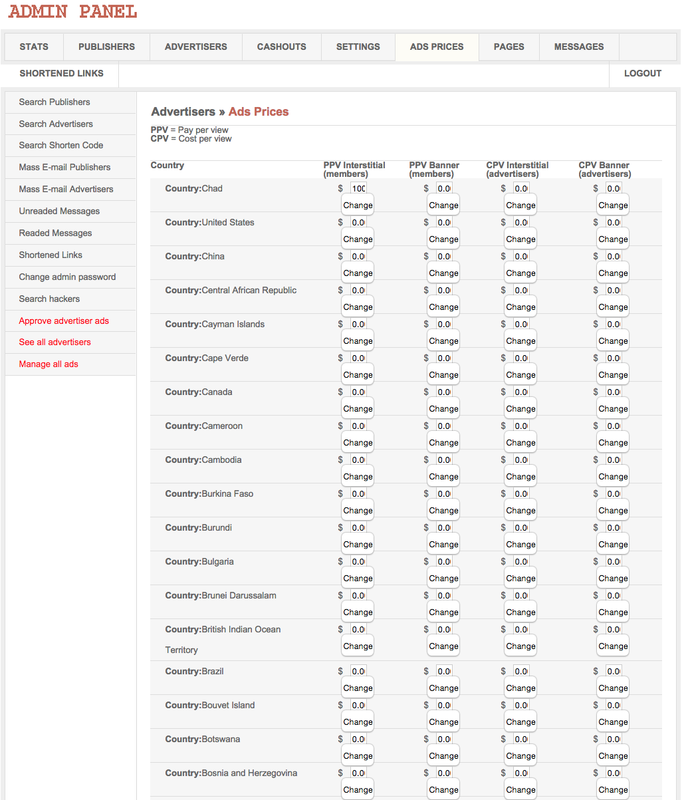 This page is the governing section for advertisements. It can be a major source of revenue for DoubleLOL and therefore is regarded as a page of top priority. Not all images can be appropriate to be uploaded to the website. Therefore, the administrator has the authority to approve or reject the image submission if they are in compliance to the policies set out by the user. This feature is easy to use and navigate and therefore is a must-have. Similar to the case of images, the admin should also have the authority to accept or reject videos that are being submitted to the website. In order to avoid negativity that some videos may spread, this feature has been installed in DoubleLOL script. 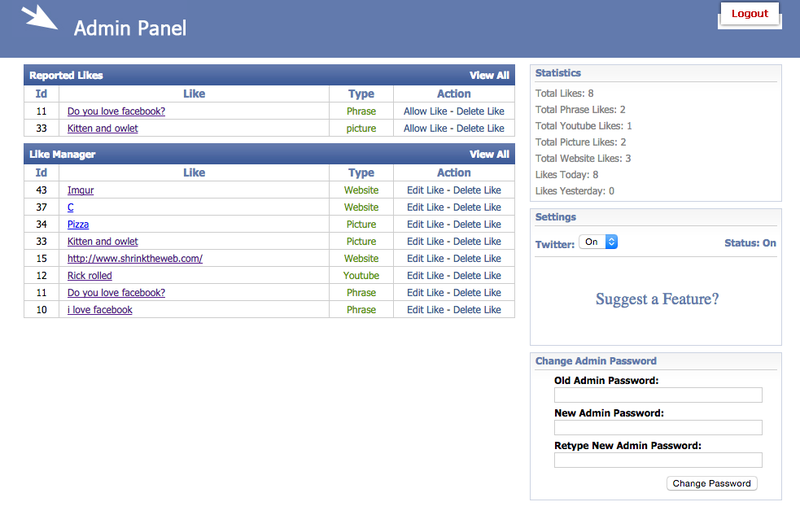 Social Media sharing options are readily available at the Admin Dashboard. From here the user can make changes to pre-set configuration regarding social media integration. 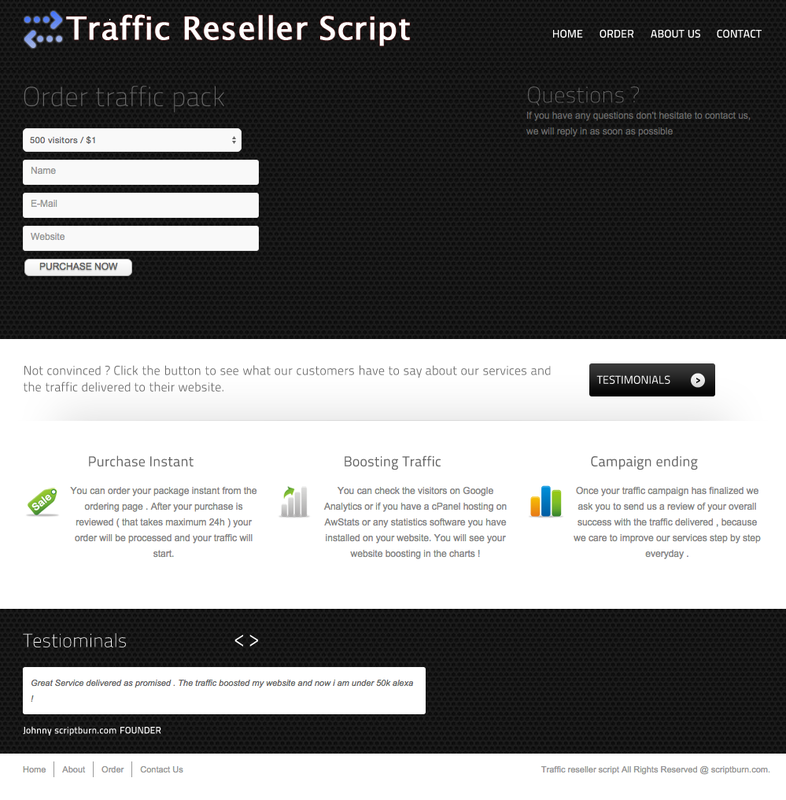 Tresell Script is a simple order managing for traffic reseller websites. The ease any simplicity with which you can manage your entire website is phenomenal. 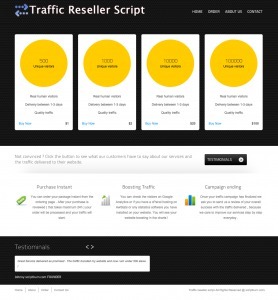 Take a look at the following screenshots and their descriptions to understand more on how you can get the best out of this script with the best price. 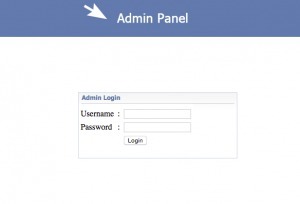 The administrator can login through this screen and enter the management core of the plugin. 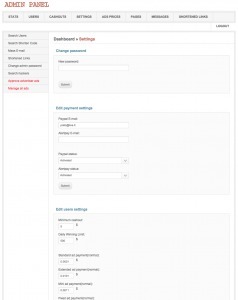 Accordingly, the administrator can even assign users and roles for particular tasks. 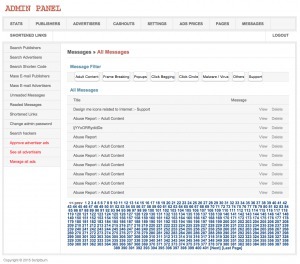 From this panel the user will be able to view all the messages that he has received. The sections are clearly segregated into unread messages and Read Messages. This allows the user to filter what to do. Similarly, the option to delete the email is also displayed on the same window. 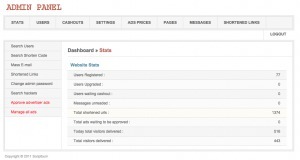 Another key function that can be performed from the Admin Dashboard is the ability to view the orders overtime. 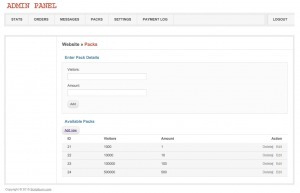 Similarly, the screen will display orders as well as the Pack ID, Name, Email, Website, Visitors, Amount and Action to be taken. This screen makes it significantly easier to take appropriate action in terms of the user. From this screen the user will be able to add Packs into the system. 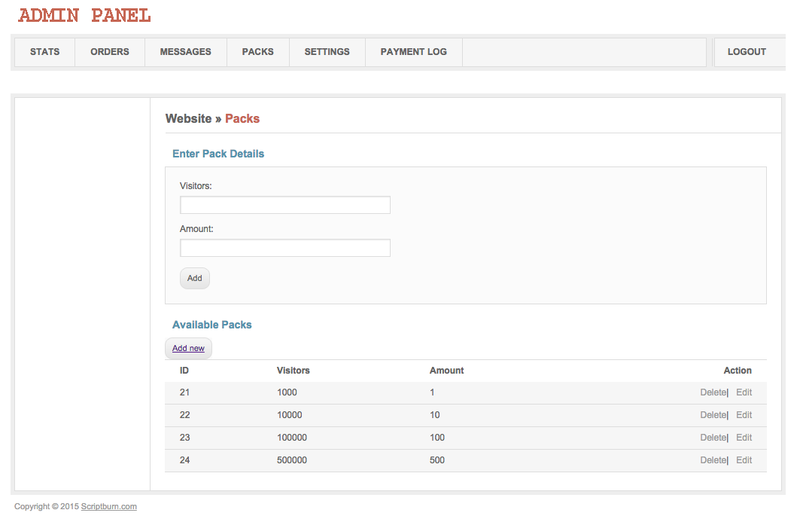 To add the packs, the user will have to enter the detail of the Visitor and the amount that is to be added. Below that screen, the Available Packs options can be seen which lists all the packs that are present in the system with the option to Edit and Delete. 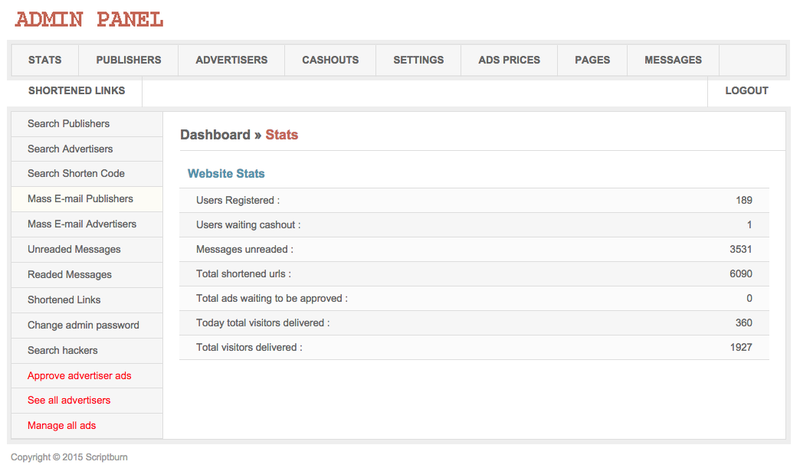 A great feature to keep track of what’s going on – the statistics page allows you to view concrete numbers as to how much orders are already paid or how many messages have been kept unread. One of the most famous scripts, and also one of the simplest to use. 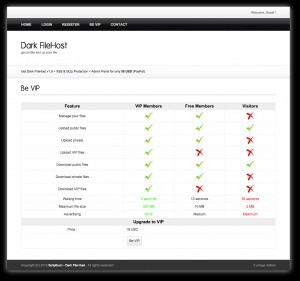 The Dark File Host script is used to upload files into the servers and make them available for download. 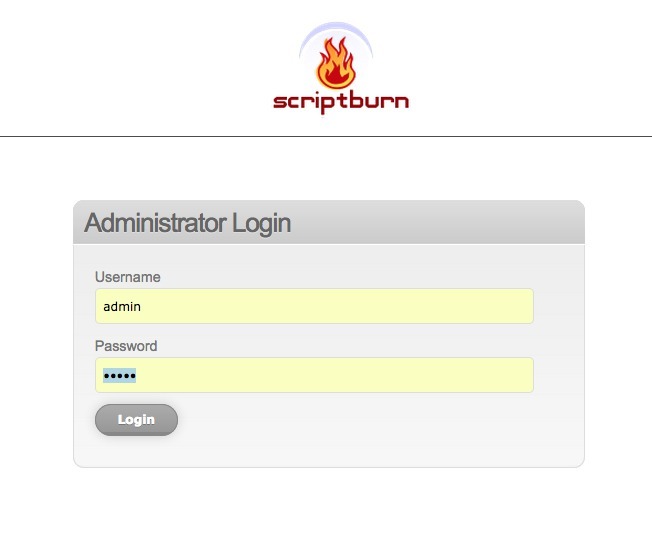 The script being entirely open source allows you to modify the architechture to fit your or your organization’s need. 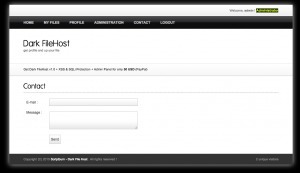 Allows the user to register to the page and login with the same credential. In case the user forgets the credentials then there are many ways in which the user can revert them by clicking on the Forgot Password link. You can upload files into the server so that the server will be able to generate a download link for the file that has been uploaded. While uploading you can allow access to the users according to your desire. The maximum size for download will be 300 MB. View all the files that have been uploaded and are now ready for download. The screen gives you a summary of what’s on the cloud and also provides Meta information regarding Size, Downloads and Upload Dates. As simple as that, from the download page the user can download the files that he wants. All the metadata will be shown to the user like the file size, privacy setting, upload date, download in numbers and the uploader name. By becoming a VIP Member you can enjoy a gamut of benefits. 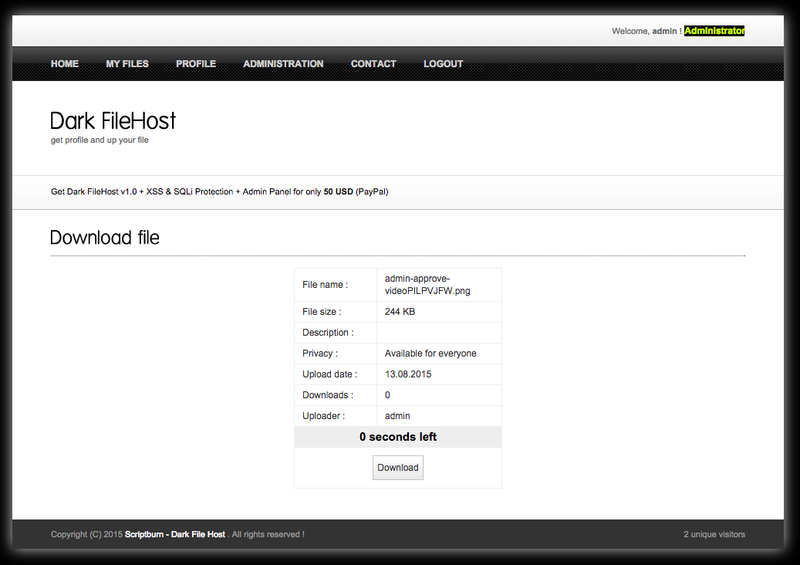 Enjoy seamless Upload of VIP files as well as downloads. This feature is a rare-find at such an affordable price. 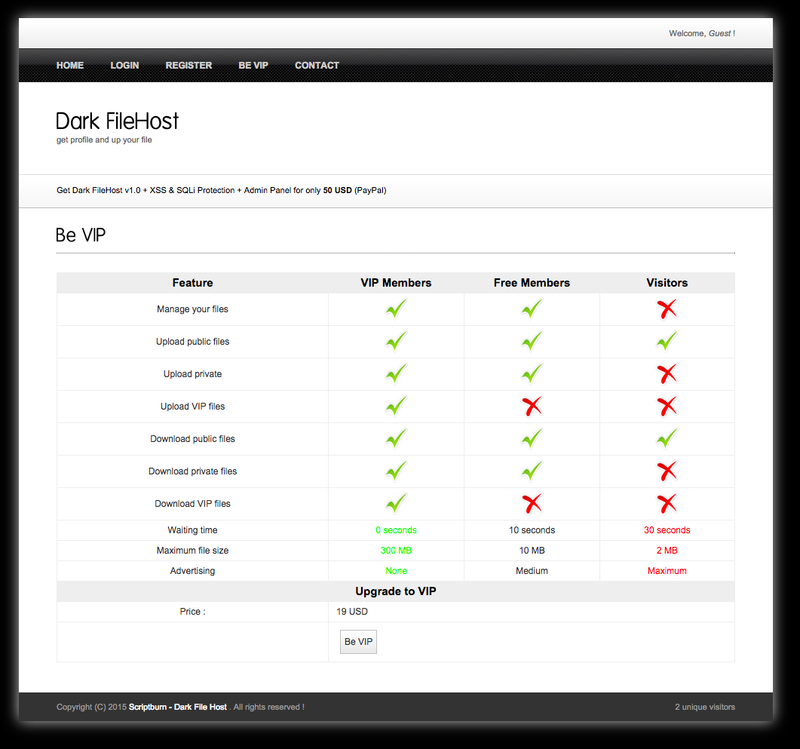 Also find your download rates significantly reduced with the purchase of VIP membership. 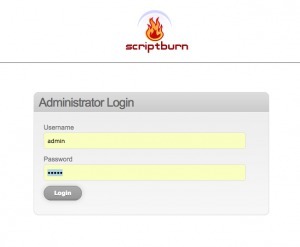 Enjoy seamless experience with Scriptburn’s Dark File Host. Your files are not just secure but can be available anything when it feels the urge to download, very quickly. Also, become a VIP to enjoy host of benefits. Twitter is an online social networking service and microblogging service that enables its users to send and read text-based messages of up to 140 characters, known as “tweets”. Facebook is another, largest social media network where users share their life’s events and connect with people they know. Facebook and Twitter Like Script is the most easy to use script that you install on your wordpress. 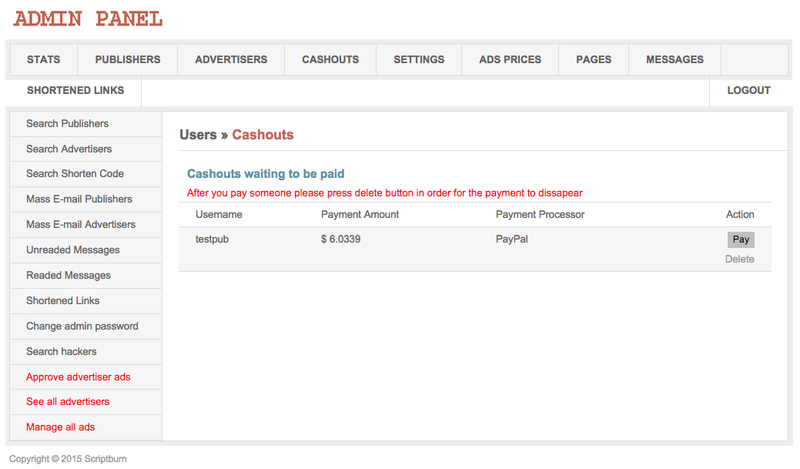 Scroll below to find more on how this plugin works and how it can benefit you. 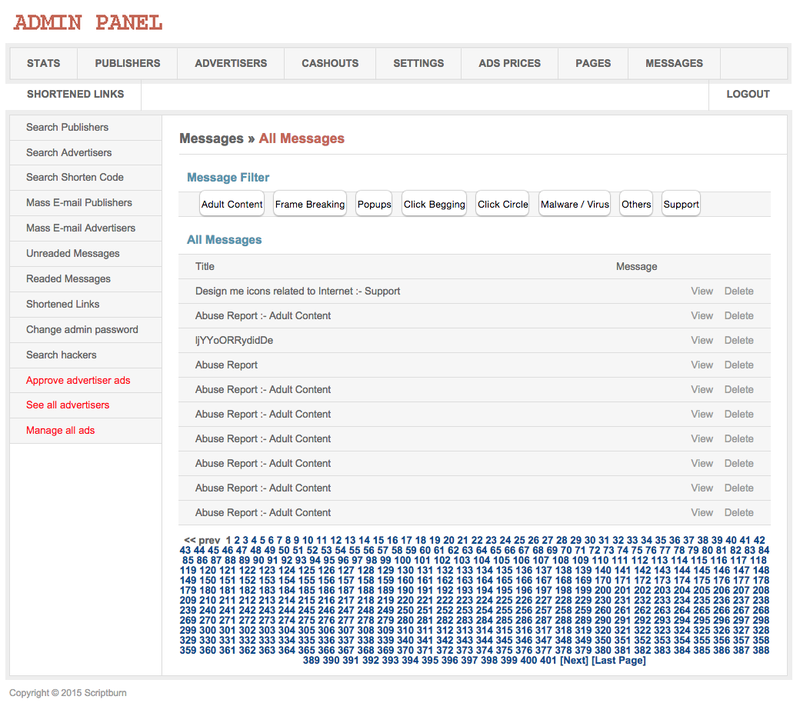 ALL FROM YOUR WORDPRESS SCREEN! Phrase, Youtube Video, Website, and Image Support! 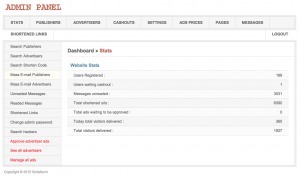 Manage reported Likes – Manage and convert into understandable reports. Facebook will get even more fun with this plugin. 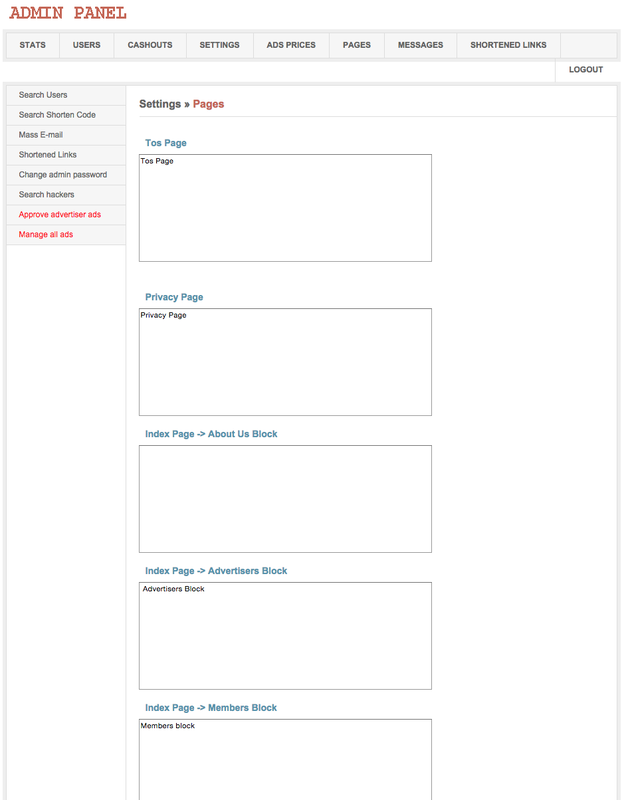 From the Link Management page the admin will be able to view the list of Phrase, website or pictures that are listed there. 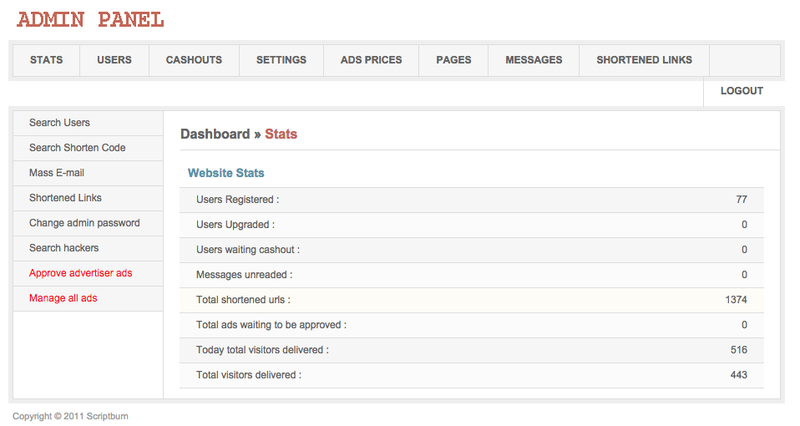 Also, a detail statistic report is also visible to the right side of the page. 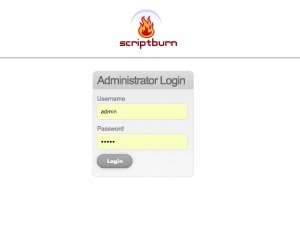 Script PHP source code open for modifications. An open source code is generally free code you can use and modify. This package supports this exact phenomena. Photoshop PSD files for logo/design modifications. The package also contains PSD files for logo design and modification. The package has been designed to be as user friendly as possible. Never have problem regarding mere installation of files. The package has a complete manual on how the script is to be installed. We’ve already done the hard work for you. As the name suggests, this plugin basically deals with analyzing and producing an incredibly helpful and readable report that is surely going help you make sense of your operations on your website and state of your DNS. 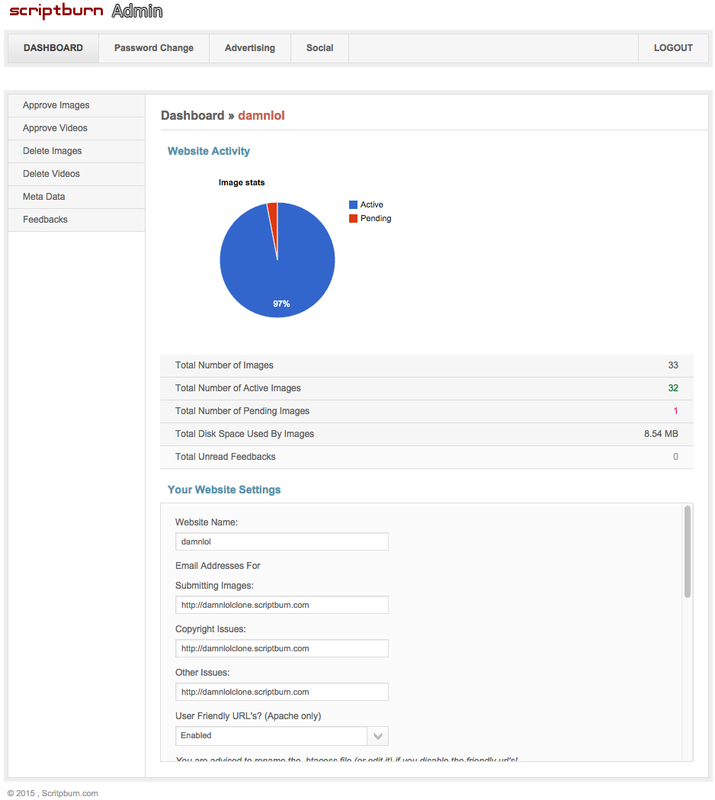 This plugin analyzes the status of your Domain Name Server (DNS) for any public domain. Along with the precise analysis, it also presents a beautifully crafted report just so you can identify the root of the cause. 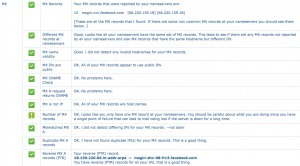 It can perfectly answer to this question: is there a problem with the DNS records or your DNS server configuration? A nameserver is a processor that is permanently connected to the Internet and translates domain names into IP addresses (or vice versa). 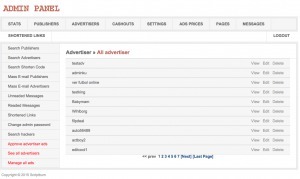 For example, it makes it possible for you to enter www.abc.com instead of 194.63.248.47. 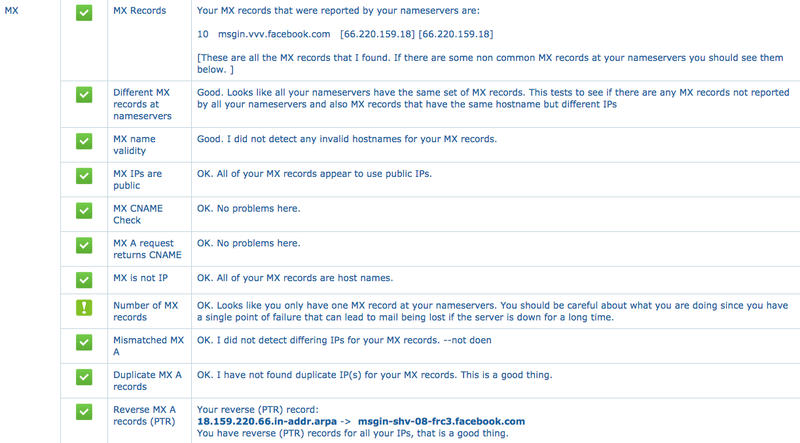 Sometimes a conflict of nameserver can be very difficult to deal with. With this plugin, all these problems of having to deal with difficulties are solved with these tremendously detailed report. Another feature of this application is to show the root records of the nameserver. As seen from the figure alongside, it also gives information on the state – whether it’s good, bad or needs fixing. A top-level domain (TLD) is one of the domains at the highest level in the ranked Domain Name Systems. The top-level domain names are installed in the root zone of the name space. 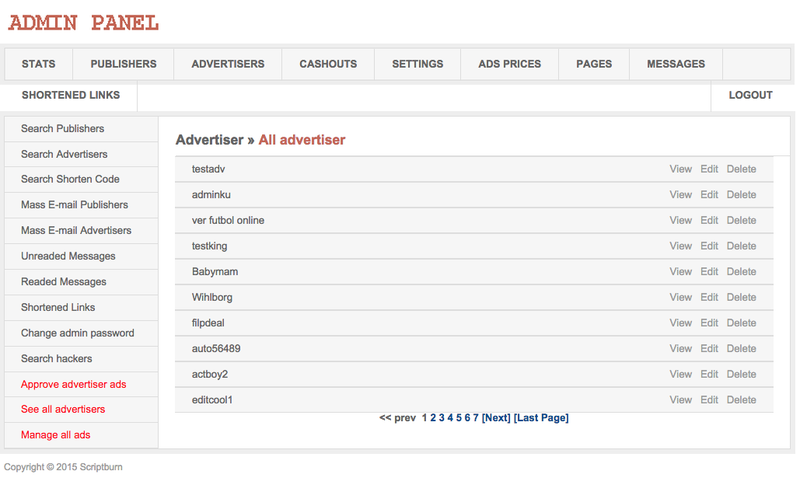 The installed plugin also checks whether or not the parent server has information of your top level domain. It will also provide you with a detailed description if not. A start of authority (SOA) record is information stored in a domain name system (DNS) zone about that zone and about other DNS records. A DNS zone is the part of a domain for which an individual DNS server is responsible. Each zone contains a single SOA record. The plugin checks whether the nameservers have the same Start of Authority and prompts the user to take appropriate steps in order to eradicate the problem. The analyzer also performs tasks like analyzing and cross checking the SOA Serial. Along with that the expiry time and minimum TTL (Transistor–transistor logic) is generated in the report. Scriptburn DNS Doctor into DNS Clone also checks A Record and if the IPs are public. The WWW (World Wide Web) Analyzer also works perfectly and an even more perfect records are produced.